The Portland, ME Wood Environment and Infrastructure Solutions (formerly Amec Foster Wheeler) Design Center is seeking an Architect. This is a full-time position for a registered architect with a minimum of fifteen years’ experience. This position is located in Portland, Maine, one of the most livable cities in the US. 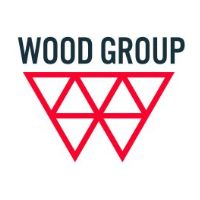 Wood offers the technical challenges of projects located throughout the US within the relaxed environment of a small, vibrant city. This individual will; possess the ability to work as an integral part of a project team, manage one or more projects during all phases of a project until completion, interface with both internal and external clients, collaborate with multi-disciplinary project teams. Our ideal candidate will be dynamic, creative, quality driven, have excellent interpersonal, written and verbal communication skills, and be a proactive problem solver.